The Alen BreatheSmart family of air purifiers are unique in their ability to change when you want them to. New room, new flooring, new paint? No problem. Match your style with any of our 18 premium options. Alen BreatheSmart Family - Customize Yours Today. 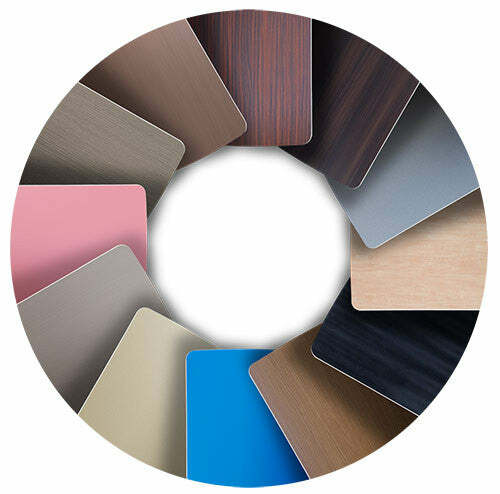 Designed as your complete solution to all your clean air needs, the BreatheSmart Family can be customized to fit any situation and lifestyle with personalizable colors and finishes, as well as a primed option, ready to be painted that perfect tint. It's a snap to change out your panel and transform your BreatheSmart or BreatheSmart Fit50 from crisp, modern oak to earthy, romantic rosewood. You be the judge of what works best, and change whenever you like. Alen BreatheSmart Family Designer Panels has a rating of 4.8 stars based on 15 reviews.